The Beatles’ third album, A Hard Day’s Night, was released on July 10, 1964. It was the first Beatles album to feature all original Lennon and McCartney originals. The first seven songs were from the soundtrack to the Beatles’ first movie, A Hard Day’s Night. 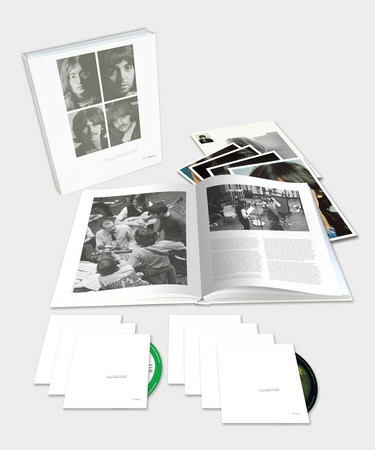 The album cover features 20 different pictures of the Beatles appearing as frames of film. A Hard Day’s Night is one of five album covers shot/designed by photographer Robert Freeman. Right after the Beatles’ performance on the Royal Variety Show in early November 1963, Brian Epstein gathered the British newspaper headlines mentioning the Beatles and flew to the U.S. to approach Ed Sullivan to have the Beatles as guests on his popular variety show. Ed Sullivan was not hard to convince. Initially, he offered the Beatles one appearance performing on his show as one of many acts, but Brian insisted that the deal be for two shows with the Beatles as headliners. Sullivan finally agreed to the deal with the first appearance scheduled for Feb. 9, 1964. After making the deal with Ed Sullivan in November 1963, Brian went to meet with Capitol Records. After turning down the Beatles several times in the past two years, Capitol Records in the U.S. finally got behind the band and agreed to release their latest single, “I Want to Hold your Hand,” one month before the Ed Sullivan appearance. However, The Beatles had already released two albums in the U.K.– Please Please Me, and With the Beatles. Capitol wanted to release their own versions of The Beatles albums and thus, the U.K. versus U.S. album discrepancy begins. According to Alan Livingston, then-President of Capitol Records, Brian Epstein would only agree to the deal if Capitol agreed to spend $40,000 promoting the single. As explained in the book, “The Beatles’ Story on Capitol Records (part 1)” by Bruce Spizer, a budget of $40,000 was unheard of in those days to promote a single. 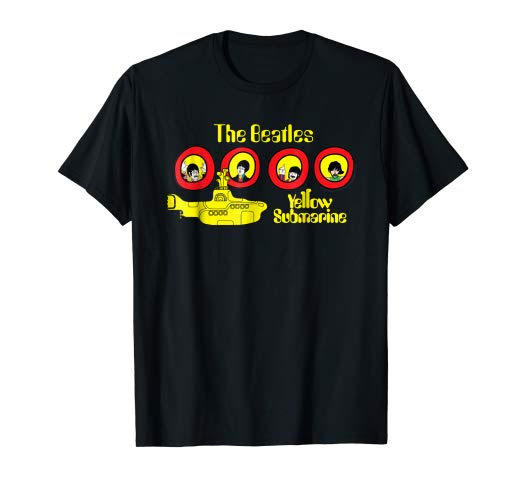 But this enabled Capitol to launch a massive marketing campaign (outlined in a company memo dated Dec. 23, 1963) that targeted radio and record stores to carry the Beatles. Marketing materials included everything from a 4-page tabloid newspaper (pictured above) containing stories on the Beatles, to Beatle buttons and even Beatle wigs! When the Beatles plane landed on Feb. 7, 1964 at JFK airport, there were thousands of screaming teenage fans awaiting their arrival. There were also a mob of reporters waiting to attack in a press conference at the airport. Expecting the Beatles to come across as idiots, the press was pleasantly surprised with the Beatles’ humorous one-line responses to the many questions shouted at them. This image of the Beatles as funny, likeable, charming young men enhanced their appeal throughout their career. Ed Sullivan received 50,000 requests for tickets to the Beatles appearance on Feb. 9, 1964 in a theater that only held 700. A record 73 million people watched the show that night. After the Beatles historic performance on the Ed Sullivan show, they literally became worldwide sensations overnight. They had become the first British band to conquer America, and many bands tried to follow on the heels of their success. But the impact was immense, and from that historic day, February 9, 1964, to the present, nobody would top the Beatles in terms of popularity or success. Two days later, The Beatles played their first U.S. concert on February 11, 1964 at the Washington Coliseum in Washington DC. Then they quickly returned to New York City to play two concerts on February 12 at Carnegie Hall. Before the Beatles returned to England, they performed on The Ed Sullivan Show two more times. “I Want to Hold Your Hand” turned out to be the fastest selling single ever with one million sales within two weeks of its U.S. release. On Feb. 1, 1964, it hit number one on the U.S. Billboard chart. No one could have asked for better timing–a week before their first U.S. television appearance! On March 31, 1964, the Beatles held the top 5 positions on the singles charts with “Can’t Buy Me Love”, “Twist and Shout”, “She Loves You”, “I Want to Hold Your Hand” and “Please Please Me,” and had 7 more Beatles singles in the Billboard Hot 100. For the next 6-1/2 years, the Beatles would hold the number one single spot in the U.S. for 59 weeks, and the number one album spot for 116 weeks. Many executives in the entertainment industry thought that while the Beatles were hot at the moment, their popularity would eventually fade. In fact, that is why United Artists wanted the Beatles to make a movie immediately. They were afraid the Beatles popularity would diminish in six months, so they wanted to capitalize on releasing a movie soundtrack by the Beatles as soon as possible. The actual movie was not important to them in the scheme of things. Luckily, A Hard Day’s Night was made by filmmakers who did care and who wanted to make a substantial film which differed from most music-exploitation movies of the day, where there was usually no plot and the movie was basically an excuse to let the band play. The filmmakers of A Hard Day’s Night recognized the Beatles for their talent as well as their charm and set out to preserve their image on film. As a result, a movie that was rushed into production ended up contributing to the longevity of the Beatles as a musical phenomenon. After A Hard Day’s Night, the names of all four Beatles were cemented in people’s minds, and the personality stereotypes that were depicted in the film for John, Paul, George and Ringo individually would follow them throughout their career. The public’s perception of The Beatles was greatly influenced by the Beatles’ first film. As a result, A Hard Day’s Night had a huge impact not only on The Beatles’ career but on popular culture.